At the start of your turn, deal 4 damage to a random enemy. 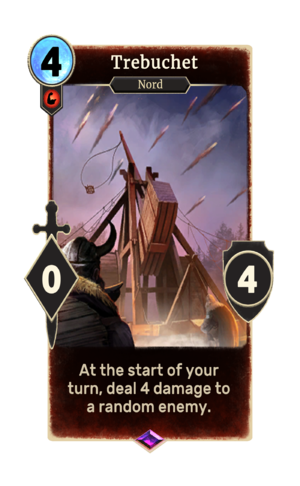 Trebuchet is an epic Strength creature card. It is part of the Core Set. Early version from Gameplay Overview video. Note that it shows a ballista rather than a trebuchet.